Like everyone else, I’m dying to know if Steve Jobs will be returning to work at the end of June. Personally, I’m very skeptical of psychic predictions, but Courtney has a long and storied history as Silicon Valley’s leading clairvoyant. Indeed, she’s the only person on record who correctly predicted Steve Jobs’ return to Apple back in 1997. Speaking by phone from her home in Redwood City, Courtney said Jobs will return to Apple in June as promised — but he won’t stay long. Jobs took six months medical leave in January saying his ongoing medical problems were “more complex” than suspected and he needed time off work to concentrate on his health. The company has promised several times that Jobs will return in late June as planned, but many are pessimistic. On Tuesday, hopes were further dashed when Apple said the WWDC keynote in early June will be given by a team of executives led by head marketer Phil Schiller. The slot has traditionally been Jobs’, and many hoped (and are still hoping) he’d put in a surprise appearance. A “corporate psychic” for more than 30 years, Courtney claims to have consulted with scores of tech companies, including Apple, Intel, Hewlett-Packard, IBM, Sun Microsystems, and Motorola. She says politicians in local and federal government have also consulted her. Charging more than $200 an hour, Courtney uses her “intuitive energy” to advise executives on all manner of personal and business decisions, from who to promote to the pricing of new products. She’s consulted for CEOs and programmers alike, she says. 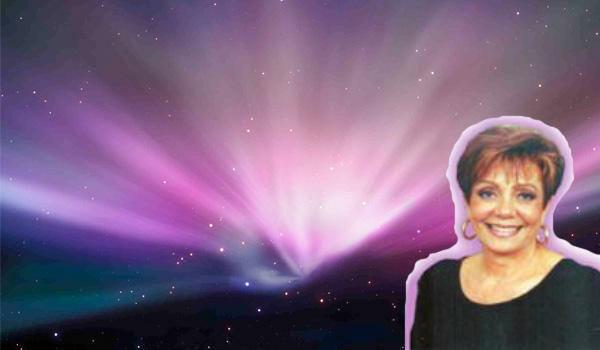 When consulting with corporations, she’s known as a ‘vision consultant’ rather than a psychic. Psychic is a loaded term, even in flakey Northern California. Courtney said Jobs would return to Apple for a relatively short period –œ certainly less than two years –œ while he manages handing over the reigns to his successor. Who the mysterious other person is, Courtney didn’t say. Tim Cook, Apple’s COO, who is acting CEO in Jobs’ absence, is Jobs’ most likely successor. Courtney predicted that Jobs might return in a different role than CEO. Courtney then discussed Jobs’ health. She was reluctant to say it, but Jobs’ health issues aren’t resolved. There’s a few conflicting statements here, and a lot of it seems like common sense, but I was impressed with Courtney’s prophetic abilities when I interviewed her back in 1996. Asked her prophecies for MacWeek’s annual, end-of-year ‘predictions issue,’ Courtney correctly divined that Jobs would be returning to Apple in a few months. This at a time when Apple looked doomed, and Jobs was the last person on the planet anyone expected to see return to Apple. Jobs had quit Apple 11 years previously and was busy running NeXT and Pixar, which was white hot thanks to the success of Toy Story. Woah –œ it sure wasn’t Steve Wozniak. Courtney also predicted the ouster of then-CEO Gil Amelio and his management team, and that Apple’s plunging stock would bounce back. Amelio and other executives left in July, and Jobs was named interim CEO shortly afterward. Courtney also advised holding onto Apple stock, which seemed cuckoo because it was tanking. “When people called me and said, Oh dear, I’ve got stock in Apple, I told them to hang on to it. … If I had more disposable income I would definitely buy stock in Apple,” Courtney said in the story. Apple’s stock was $12 at the time. Since then it’s split twice and broke the $200 barrier in 2008. She was right on Jobs’ two year stint.